The Harmony Design & Engineering staff is very active in the Teton Valley community. We volunteer time and services to several non-profit organizations including the _Downtown Driggs Community Association, Teton Valley Community Recycling, Teton Valley Trails and Pathways, Friends of the Teton River, Valley Advocates for Responsible Development, Teton Basin Ice & Recreation. We sponsored the Teton High School Mountain Bike Team for 2015 & 2016. Our staff has also served on governmental advisory boards, including the Driggs Design Review Advisory Committee. The Community Foundation of Teton Valley’s Tin Cup Challenge is both a campaign for giving and a one-day event celebrating our community’s spirit of generosity. 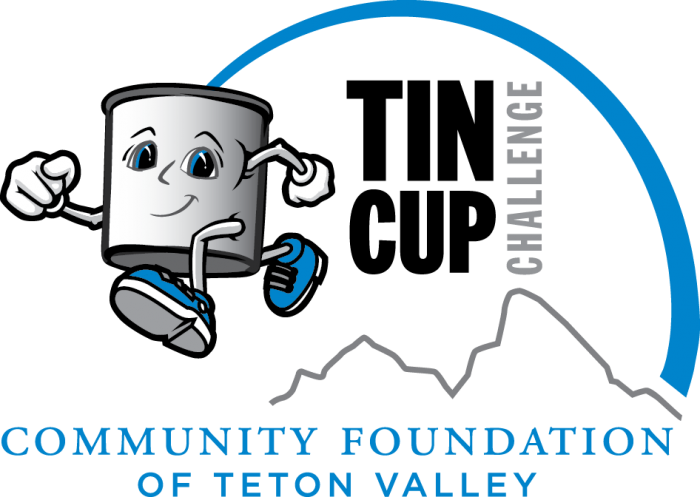 The Community Foundation seeks gifts to the Tin Cup Challenger Fund from individual and business donors, which is used to benefit ALL participating Teton Valley nonprofits and help encouraged the entire community to participate in philanthropy. Harmony Design & Engineering has been a business Challenger since 2013 as we strive to be stewards of philanthropy, inspiring community-wide giving while graciously conveying our commitment to and belief in improving lives through the power of generosity. Harmony Design & Engineering has been a team sponsor for the Driggs SnowScapes competition. 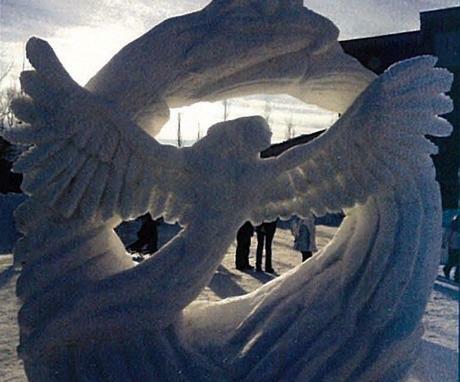 In 2013 we sponsored the local snow sculpting team lead by Michael Hoffman. Michael's sculpture named "Winged Spirit" (pictured left) was dedicated to his son, who passed away in a house fire earlier in the year. In 2014, we sponsored the local snow sculpting team lead that created a sculpture named "Adonis". Harmony sponsored the local snow sculpting team Frosty Bottoms 2.0 with their creation called "Snowhill Cranes" (pictured right) in 2016. Snowhill Cranes was awarded 2nd place overall. In 2017 we sponsored the team "Lotus Know" who created a sculpture of the Buddha. Harmony Design & Engineering, together with Jorgensen Associates, sponsored a hot air balloon during the 2011 Hot Air Balloon Festival in Teton County, Idaho. One bonus of sponsorship was the opportunity to go for a balloon ride! Harmony Design and Engineering was a proud sponsor of the Sustainability Tent at Grand Targhee Resort’s 5th Annual Targhee Fest, July 17-19, 2009.